Straight teeth are an important feature of an attractive smile. Like a lot of people, your teeth may have grown in crowded or crooked. You may hide your smile. Beyond cosmetic concerns, problems with how your teeth fit together can cause excessive wear and TMJ-related problems, such as headaches and facial pain. Misaligned teeth are harder to clean. Good hygiene prevents the leading causes of tooth loss: dental decay and gum disease. Your local dentist in BC improves your smile’s appearance, and relieves or prevents uncomfortable symptoms without need for referral to an orthodontist. Aberdeen Dental offers orthodontic options suited to patients across the age spectrum, and with differing needs and lifestyles. Conventional metal braces got in the way of effective brushing and flossing. Some modern orthodontic treatments available at Aberdeen Dental allow easier brushing and flossing. They aren’t fixed like traditional braces. They can be removed for cleaning and eating. They’re made from a smooth, BPA-free plastic that is comfortable. Aligners don’t irritate your gums. The clear plastic is almost invisible, so no one knows you’re straightening your teeth! The doctors also offer Fastbraces, the uniquely efficient way to straighten teeth. 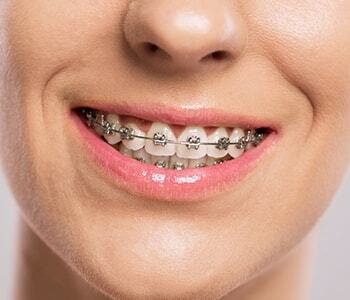 Due to the design of the brackets and wires, Fastbraces moves both the crown and root in a one phase. Conventional braces move the crown and then the root in stages, so Fastbraces cuts treatment time in half! Want more details about these advanced alternatives to conventional braces? Call Aberdeen Dental at (250) 545 3319.